WOW!! The world was wondering about what exactly happened to Frank Ancona when he was found dead by a riverbank just a few short days ago. Now the fingers of guilt point towards his wife and stepson for his mysterious death. What could have possibly driven them to the brink of murder? Apparently the thought of being alone was not an option for the wife of the deceased. The wife and stepson of KKK Imperial Wizard Frank Ancona, of Missouri, were arrested on Monday and charged with his murder. 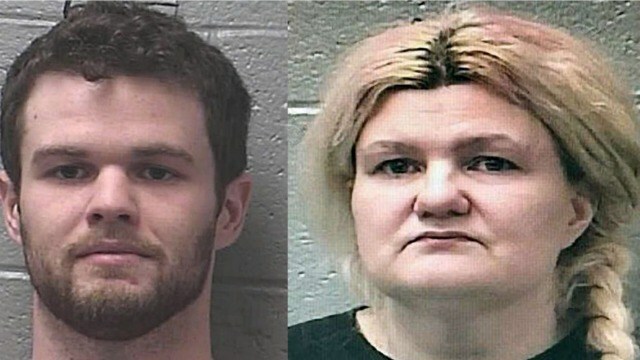 Malissa Ancona and her son, Paul Edward Jinkerson Jr., face charges of first degree, tampering with evidence and abandoning a corpse, according to the Park Hills Daily Journal. According to authorities, Ancona was killed in the master bedroom of his home, and Malissa admitted when she was detained that her biological son had shot her husband while he was sleeping. Originally, Malissa had told authorities that her husband was driving across state lines for work and that she would be filing for divorce when he returned. She had also already placed an ad on social media looking for a roommate to replace him.